Nobody likes getting sick. At this time of year, there are plenty of coughs and colds going around. There are also viruses like the flu that can leave you curled up in bed for more than a week. It’s not easy coping with everyday life when you’re feeling under the weather either. But it’s not just common viruses we need to be concerned about. Serious and life-threatening illnesses can also strike. Protecting your body from ill health involves living a healthy lifestyle. We hear about choosing healthy diets and exercise plans all the time. But what exactly does it mean to be healthy? After all, some genetic illnesses can’t be cured with an apple a day. However, there are more and more studies suggesting that healthy, organic produce could help reduce the risk of illnesses like cancer. It’s true that there are often chemicals and other alien ingredients in our foods. They are most commonly used to ensure healthy growth of the crop or livestock. But there may be antibacterial washes and other procedures that top up all these additives. And then, of course, are all the chemicals used to enhance the flavor. 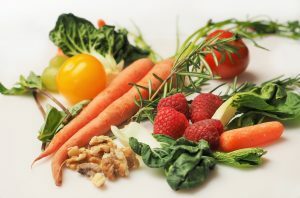 Eating fresh, organic food may be one way to avoid the additives. Of course, none have been associated with serious illnesses or disease. Exercising regularly keeps your circulation moving healthily. It can also prevent excess weight gain, improve your posture, and develop strong muscles. This is good for balance and control. Good mobility is essential to the health of our bodies. And a healthy circulatory system can help prevent heart disease too. Keeping active may be all you need to enjoy a healthy lifestyle. Gym membership and sports participation aren’t necessary, but they might be fun! Avoiding harmful substances like alcohol and drugs can help prevent mental illness. It can stop serious physical health complaints too. Liver disease and kidney problems are the most common ones. But those that suffer addiction can also suffer social stigma. Malnutrition accompanies excess use too. To prevent your health worsening it could be a good idea to enroll in something like the Prescott House Addiction Treatment Program. This could help you stop taking the harmful substances that can seriously damage your body and mind. Some conditions, like diabetes, can be improved with careful management of diet. Diabetes is a very serious condition because it can cause damage to parts of your body like your feet. Some sufferers claim they have cured their diabetes simply by changing their diet and lifestyle. Whether you believe the claims or not, it’s essential you do what you can to avoid the complications to your health that diabetes can bring. Eating fresh is one way, but a less strict diet could also work. Reducing fats and sugars can both help. Simple things, like washing your hands, can go a long way to avoiding ill health. Drinking plenty of water can also ensure you are hydrated. This is particularly important if your temperature is raised. Our bodies are quite good at fighting illnesses. Feed it well, and it will do its job just fine. I think it is important to work out and strengthen your muscles, like your core. If you don’t have a strong core, it can lead to back pain or you can injure yourself more easily. Great information, thanks for sharing!